This month's featured character is Rigby from Regular Show. Compared to Mordecai, Rigby is the more childish and foolish of the two, but I like him much better because I find raccoon characters adorable. As an immature raccoon adult, I find Rigby very paddable. I even like to pad him up more often in the future, although the fur texture is by far the hardest part of drawing him. Woah, this looks so detailed, so official, so unique and amazing! It's funny tho, 'cause it's canon that Mordo usedDiapers once. So.... would you rule out Mordecai using diapers? 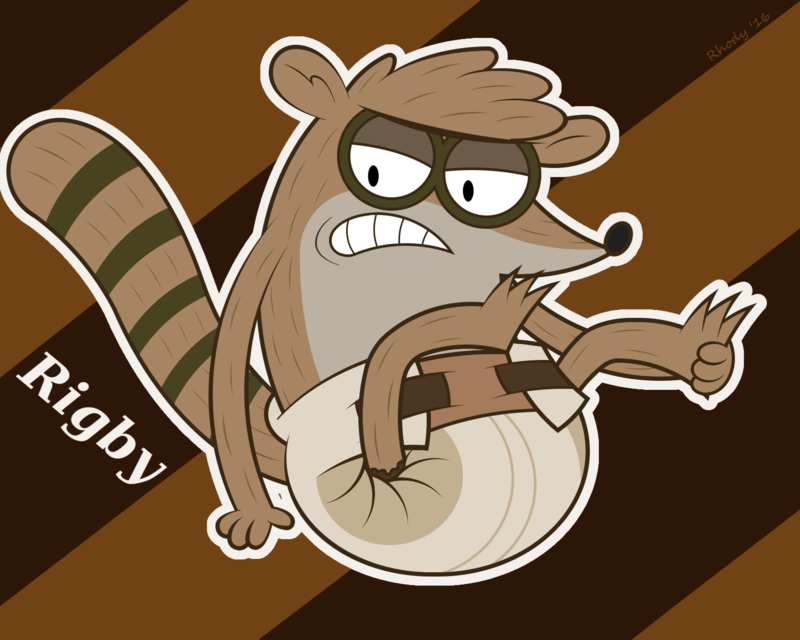 Rigby should always be in a diaper. I love both, specially the second, because he looks more fragile, less threatening.